The Four-Days Bougainville YUMI WAN Festival was officially opened by the ABG President Chief DR. JOHN MOMIS at the BEL ISI PARK in Buka town this afternoon. 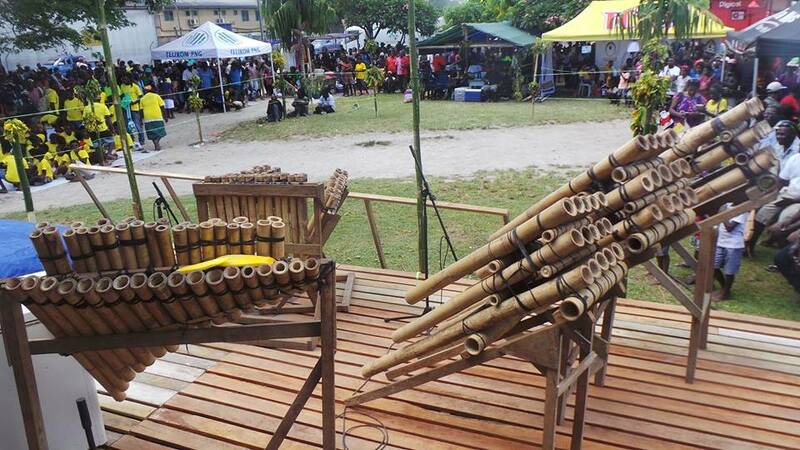 The festival which started last year aims to unite the people of Bougainville through music and Arts and Crafts and prepare them for the upcoming Bougainville Referendum. In His Opening remarks ABG President Chief DR. JOHN MOMIS congratulated organizers of the festival for their contribution to preparing artists a musicians for the Referendum. He said that unity and solidarity is what Bougainville will need as we prepare for the Referendum. President MOMIS said despite our differences, we must remain united to make sure that the outcome at the end will make the people of Bougainville happy. He said Bougainvilleans need to know exactly what they want in the future and after the referendum. The ABG President said that Bougainville has this one off Referendum that must be taken with full conscience as this will settle for once and for all the cries of our forefathers for self-determination.